According to the U.S. Departments of Transportation and Commerce, there are over 1.5 billion tons of hazardous materials transported each year in the United States either by truck, train, boat or aircraft. HAZMAT is an acronym for hazardous materials. Many federal agencies, such as the Department of Transportation (DOT), the Occupational Safety and Health Administration (OSHA) and the Environmental Protection Agency (EPA), have regulations regarding the transportation and disposal of hazardous materials. For those involved in transporting hazardous materials, this activity raises special risks, which is why there is a special insurance policy for the transportation of hazardous materials. Depending on what cargo you haul, these various federal agencies have different regulations regarding the transportation of hazardous materials. Transportation of hazardous materials causes unique highway safety concerns. One of these concerns is the release of cargo that may contaminate or injure those coming in contact with the hazardous substance. These crashes may also cause fires, explosions and the release of toxic fumes. Imagine the cost of clean-up and other damages that could occur if a tanker full of hazardous materials were to explode on a busy highway. Now, try to imagine covering these costs without insurance. The Secretary of Transportation has defined hazardous materials as “any substance that poses an unreasonable risk to health and safety or property.” Many people recognize the most commonly known hazardous materials but you might not recognize some types of goods as hazardous. If you are a company or a driver involved in the transportation of hazardous materials, there are some important facts and statistics you should pay attention to, as reported by the Federal Motor Carrier Safety Administration’s Office of Information Management, further emphasizing the importance of carrying property hazardous materials transportation insurance. For the years 1980 to 1990, the average number of large trucks carrying hazardous materials involved in fatal crashes was 225 annually. Nonfatal crashes involving large trucks carrying hazardous materials for the same time period totaled approximately 6,000 annually. Transportation of flammable liquids accounts for almost half of all fatal truck crashes involving hazardous materials for the years 1991 to 2000. Hazardous materials haulers face specific insurance requirements and must provide insurance liability usually between $1 million and $5 million depending on the cargo. If cargo haulers are unsure of the classification of cargo, they should contact the shipper that provided the cargo or look at the definitions of hazardous materials in hazardous materials regulations under 49 CFT 177. Failure to comply with insurance requirements for hauling hazardous materials can result in civil penalties and fines as well as possible incarceration. If you are a hauler of hazardous materials, you may wonder where you can find insurance coverage. You can get additional information about the safe transport of hazardous materials by reviewing regulations found at the U.S. Department of Transportation’s Pipeline and Hazardous Materials Safety Administration website as well as other resources including data and statistics, information on incident reporting, national pipeline mapping system (NPMS), planning and analytics, forms, and other information resources. Other helpful resources include the Federal Motor Carrier Safety Administration, which provides training materials for dealing with hazardous materials in a bilingual package, as well as information booklets dealing with federal hazardous materials regulations. 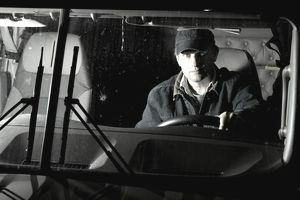 Top safety and registration resources for drivers include driver safety education, physical exam forms, drug/alcohol testing information, rollover prevention, information to register for a commercial driver’s license, requirements for driver medical fitness for duty, driver medical exemption notices and information about distracted driving/cell phone bans.